Since I was able to start buying clothes for Freddie I've noticed my obsession with elephant prints has gone worse. I sorted through his 6-9 months old clothes a couple of weeks back and I found a massive bundle of elephant print clothing. His 9-12 months old clothes are mostly elephants too. My favourite outfit has to be the elephant print dungarees from NEXT. They're a little pricey but the quality is brilliant. He always looks so comfortable wearing the dungarees and he just looks super adorable in them. When Freddie teeths, he dribbles absolutely everywhere. His clothes get soaked and I'm forever changing his top/outfit and vest throughout the day. Most of the bibs I currently have velcro closings at the back which makes it super easy for Freddie pull off. 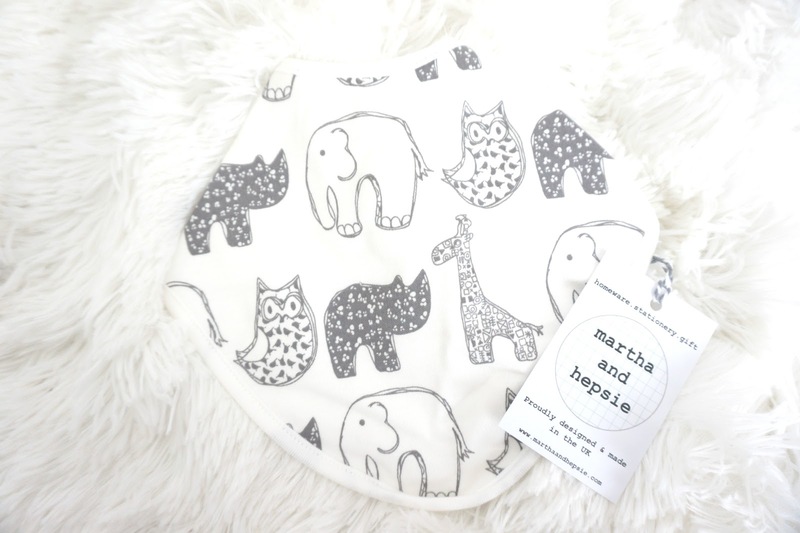 We received this beautiful animal print dribble bib by Martha and Hepsie to review and I absolutely love it. I love the high quality 100% soft cotton jersey. 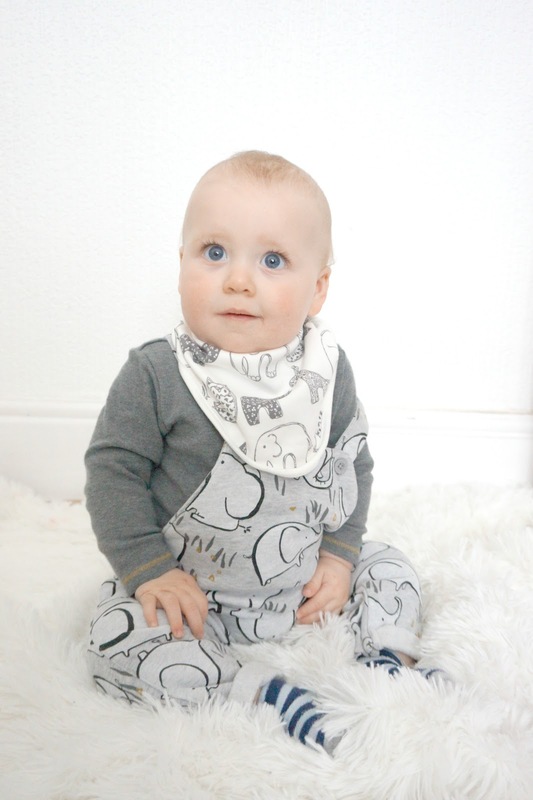 It's designed to be stylish as well as soaking up your baby's dribbles, so it doesn't soak through to their clothes. I absolutely love the water based ink animal prints. The soft grey prints make it so pretty. This dribble bib also has a popper to close at the back which makes it more difficult for Freddie to take off. 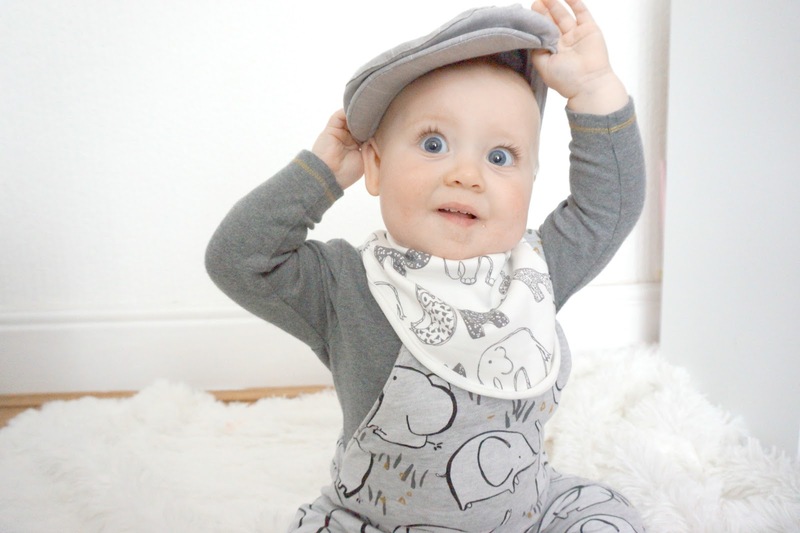 At £10 you can't go wrong with this modern and stylish, adorable bib. 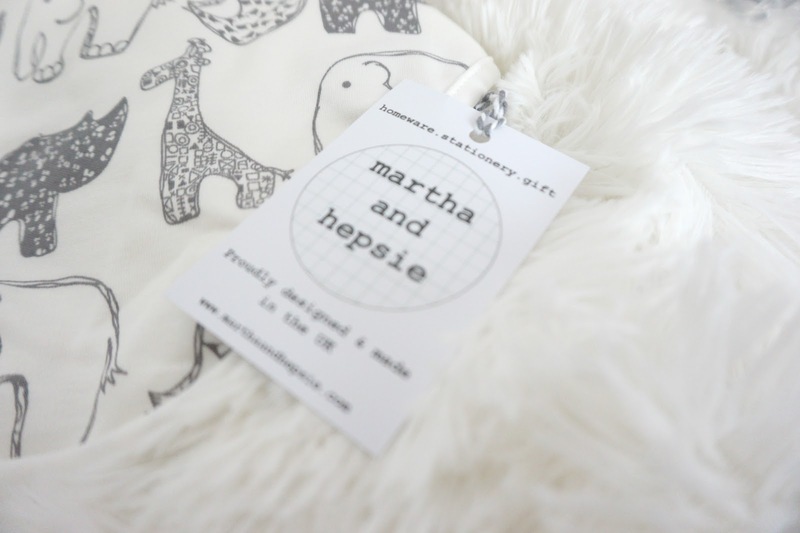 I love elephant prints too, they are adorable. 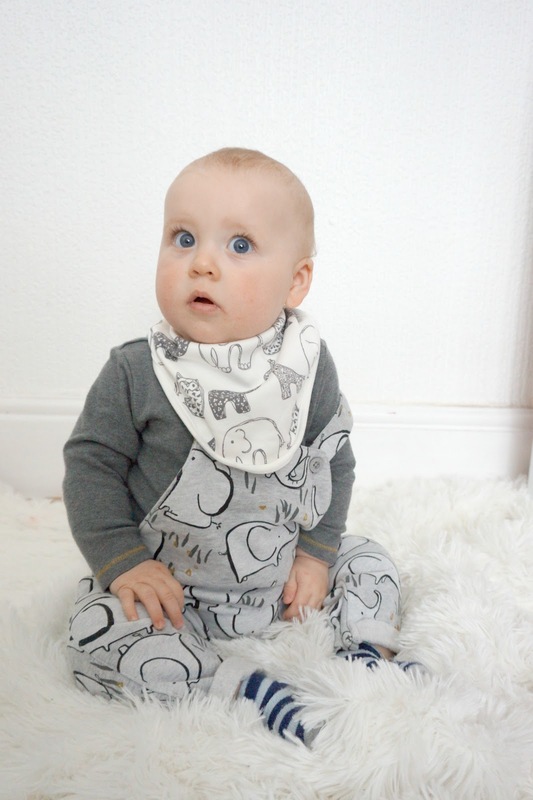 These are gorgeous dribble bibs, I always struggle to find nice ones, although we have been quite lucky that Oliver doesn't get super drooly!